Confidence Enhancing, Skin Saving Beauty Coach, and editors have referred to me as the Skin Care Guru, Beauty Expert, Celebrity Facialist, etc. 20 years, if we include Brooklyn where I started to see clients like Debbie Harry (Blondie) in my apartment. I was working as a make-up artist in the fashion industry with Mario Testino and other amazing photographers on celebrities and models (including the Victoria's Secret girls) and everyone kept asking me which products to use to either improve their skin or maintain their gorgeous complexion. They all, or perhaps I should say we all, wanted to defy time and appear rested despite a crazy working schedule and I knew that the way I wanted to use make-up eventually was not to conceal but rather to enhance already healthy, youthful looking skin. 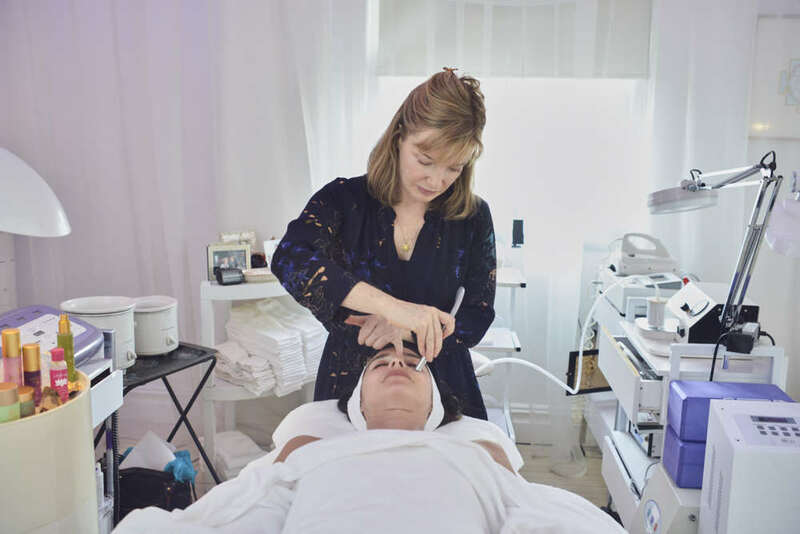 The challenge was traditional facials did not target wrinkles or lack of elasticity and invasive procedures had side effects and involved down time, so for many of my make-up clients, there were no options. Intrigued by the potential for non-surgical enhancement of the face, and having discovered the principle of using technology to stimulate the face, I had a computerized piece of equipment custom built for me that was able to deliver the results fast enough for my busy clientèle who wanted to look flawless in express time (due to my make-up career my first clients were models, music icons, actresses, designers etc). With carefully selected steps and customized settings (different for eyes or jaw line) on my trademarked Resculptor beauty machine my signature treatment, the Resculpting Facial®, a non-invasive, anti-aging treatment that yields phenomenal results was born. Apart from my work itself I feel that I have a more supportive, coaching and friendly approach to my clients than most facialists who like to tell their clients how they have all these problems and what big guns they may need to use to “fix” their face. I am very client centered and while I have amazing beauty technologies from mild current to multicolored LED lights, oxygen, microdermabrasion and other non-invasive methods, I am focused to help my client look their most youthful and rested self and boost their confidence while listening to what they subjectively feel are their concerns. In regards to my work, I am blessed to have truly created a treatment that is incredibly versatile, something that mothers, aunts, daughters and even grandmothers can all benefit from. My novel approach to beauty stems from my unique background in both fashion as a make-up artist and wellness as a certified yoga teacher. I was simply not ready to compromise safety (I was back then already well aware of the side effects of invasive procedures and the toxicity of many petrochemicals found in skin care) but also felt that certain "natural" products I found at the health food stores did not work, did not feel luxurious, and were simply a waste of time. Catering to a clientele that expects the highest quality in both services and products also forced me to think outside of the box and come up with something outstanding. The world did not need another pore cleansing facial. The demand was there for something that made a difference to lack of elasticity, puffiness and wrinkles, basically something age-defying and yet gentle. 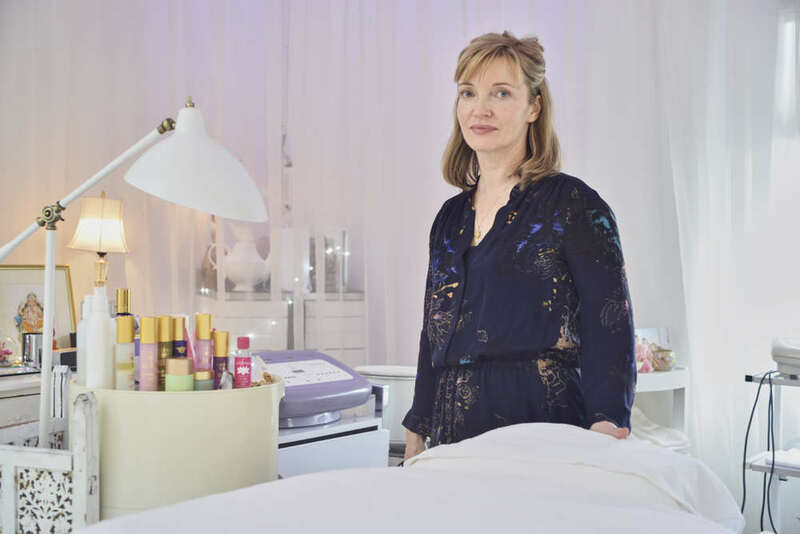 My point of difference is that my concept is very results-oriented when it comes to both our skincare products and spa treatments but at the same time I have a very holistic and restorative approach unlike clinical medi-spas or dermatological brands. In a beauty world divided into technology versus natural/green/organic skincare and anti-aging versus luxurious pampering treatments, I believe in the fusion of all these aspects. This also reflects the needs and lifestyles of my A-list Hollywood clientele. It is all about a new kind of luxury, a luxury that has health and purity and eco-awareness at its core while embracing technology to create a reliable outcome. I trademarked this concept Absolute Purity Visible Results. I was told by many of my clients that apart from helping them “defy gravity” and making them look rested, glowing and as youthful as possible they consider my spa their sanctuary and “happy place.” I believe most other options lack either the holistic, nurturing, spiritual, natural, organic, green aspect of beauty or they completely disregard science and technology and miss out on the latest age-defying methods. I incorporate all of these aspects since science and nature are happily coexisting and delivering the best results . I stay away from the invasive methods as I am here to shift the paradigm of “no pain no gain” in beauty. 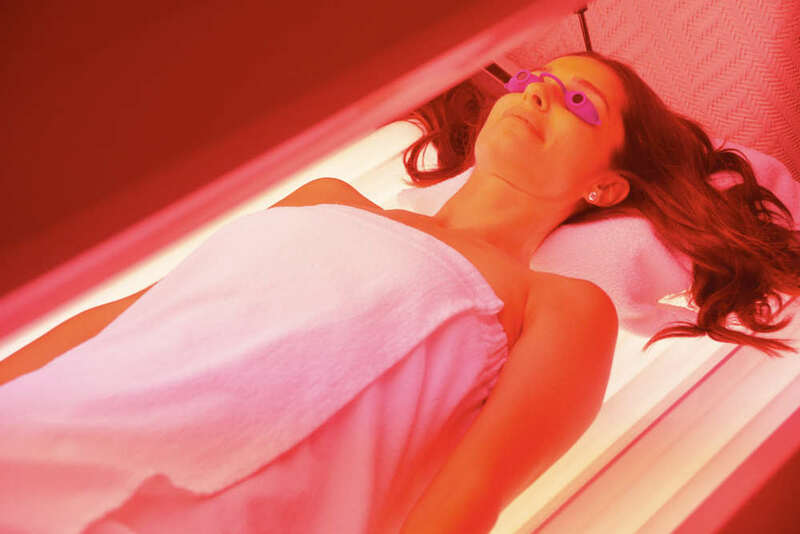 I offer the opposite: the invitation to have a wonderful, nap or meditation on my treatment table in a room that has a fabulous chandelier (as opposed to neon lights) and wake up with your face looking lifted and youthful and your skin glowing and radiant. All of my associates are kind, great listeners and help our clients to leave the NYC stress at the door of the elevator. We are here to boost the confidence by truly making a difference in terms of their face and body (ultimately in yoga this is regarded as our temple), relieve stress and help the clients either let go of their problems, or if that is not an option, offer a kind opportunity to be heard in a safe space. Seeing the clients happy and transformed on a mind/body/spirit level , changing their lives, living a more healthy, pure life by getting rid of chemicals in their skincare, bad foods, toxic thought patterns etc. Seeing them blossom in their relationships, and careers, even if I had just a tiny impact on that transformation by boosting their confidence and/or introducing them to meditation or yoga or someone who can help them is very rewarding. Omen Japanese restaurant in Soho. It “Zens” you out. Mamas constantly give to their babies and/or children and therefore are in the biggest need for pampering themselves. They need to recharge their battery and give themselves permission to “receive” so they recharge and regenerate and therefore have more to give to their children and family. Moms need to preserve their looks, their confidence and their self-worth so they can be happy in the position of giving so much all the time. Our arms and spa doors are open to all mamas and we will serve them a special herbal tea so they forget all their responsibilities for an hour. Just kidding about the tea, but the permission to relax and restore is something I feel moms need to learn. The idea of making someone happy by boosting their confidence is certainly not a new one and one needs to love to do it. It requires kindness to be in the service business. I get my hair cut by Jutta Weiss and she makes me feel better if I have a challenging day. She cares and is uber-talented. I introduced her to Cyndi Lauper and I feel she has made a wonderful contribution. Cyndi is a mommy, not just a music icon; so she deserves a lot of care. I think Jutta is a genius. We are beyond the body and mind but we need to take care of both to realize that. A healthy body and a calm mind and the trust that all will work out is the best recipe I know for happiness. Meditate, it helps make you feel fresh with the hours of sleep you get (less than average as a mommy) plus it helps quiet the mind so maybe less worrying (what a waste of time that is and of energy) Oh and a practical beauty thing: use multi-tasking skin care products like my Enzyme Exfoliant: one product, with many benefits and less time and money spent.